This is the ninth in a series of Audience Building articles, where I go into depth on the sticking points, the places where I see people take short cuts but are quite vital. One area usually given short shrift is building meaningful relationships among groups akin to you. This week I’ll highlight The LA FPI (Los Angeles Female Playwrights Initiative), who may be interesting to Ms in the Biz readers. I’ll be honest with you. I never thought I’d be the person who joined a group specifically geared towards showing the parity of female [fill in blank]toward others (specifically men) in their industry. For a long time I believed that willfully ignoring any gender differences was the best course of action. Maybe I was lucky, but if I was the victim of discrimination due to my gender, I only noticed it at temp jobs. Back in 2010, I had left my job in a theater to rebuild my sanity (another story for another blog) and build an outreach consulting business specializing in social media. I had some clients but needed to expand and build a portfolio to experiment with my audience building theories. I also needed to re-brand from a Stage Director to Storyteller/Outreach Nerd. And let’s face it, I was a creature of the theatre, and we crave community. 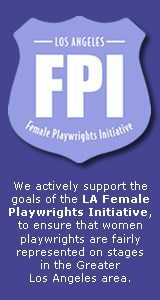 Around the same time, The LA FPI (Los Angeles Female Playwrights Initiative) put out a call for help with outreach for their upcoming gender parity study. They had spent quite a few months compiling data from local theaters and wanted to be sure the word spread. I was a bit hesitant, but after meeting Jennie Webb, I was hooked. 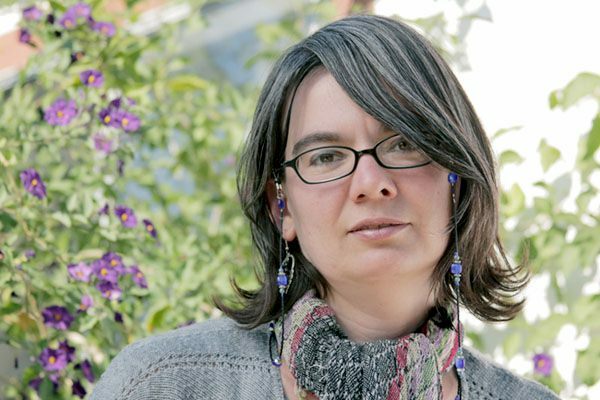 Jennie is a firestorm of real talk, snark, joy and passion. She was still struggling a bit with what The LA FPI was and what they should do. “Membership” is loose and men were always welcome. Some people wanted The LA FPI to produce, but Jennie and co-founder Laura Shamas were adamant that they do not produce full productions. I taught a couple of social media 101 workshops, mostly breaking the ice for reluctant writers who still weren’t sure whether they should get onto Facebook (remember, this was 2010). I created a Facebook Page and Twitter profile and took the lead in those postings for a time. Now a small team of smart ladies hold the reins to the social accounts, including a new Instagram. But the group was still a bit too small to make any sort of impact on the theater community as a whole. Jennie wanted to prove to theaters that producing female playwrights brings audience, but arranging group sales wasn’t working very well. I suggested we make a big push into the Hollywood Fringe Festival (then in its second year), and expand awareness of The LA FPI as a cause and an organization. Well, that worked nicely and included blogging dedicated to the Fringe Femmes (Fringe-specific listings like their “Women at Work Onstage”) as well as podcasts and some video content. Any female-written show simply needs to submit their listing and display The LA FPI logo online and in their printed materials. If you tag The LA FPI, they’ll share the post. Group outings to the theater still aren’t the most successful venture, but Samuel French Bookshop regularly hosts events that include Micro Reads, where you drop a page of a play into a box and a certain number are read out loud. I haven’t had a lot of time lately to attend their events, but really love how it’s all grown in five years. It hasn’t been easy and it wasn’t done overnight. My favorite thing is to receive an email from someone who I don’t know on behalf of The LA FPI, because it means that they are still growing and they found another passionate volunteer to share in the cause. Last week I attended their Swan Day Action Fest at City Garage in Bergamot Station*. SWAN Day/Support Women Artists Now Day is an international holiday designed to showcase the power and diversity of women’s creativity. My 1 year-old and I only had an hour to spare, so we helped to set up and act as the welcoming committee. I’d be lying if I said it didn’t occur to me that going for just one hour would be a waste of time. But it was on the way to our next appointment and something in me said that going there would be fun. The point here is that positive action with long term investments in people and their contributions to the world can really pay off. Everyone I welcomed to that event took a Saturday afternoon out of their busy week to share stories and support together. I heard new relationships created on the patio and personally felt incredibly appreciated, even after a couple of years absence at the events. I believe this is what we call a Community. *If you haven’t been to Bergamot Station, go as soon as possible. Small galleries, artisan shops and a ton of other offerings I didn’t have time to see. **Notice the small glass next to me. 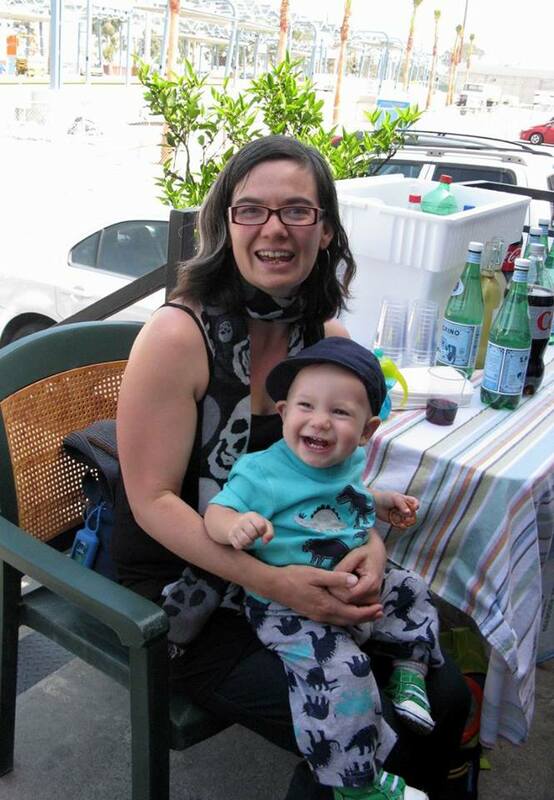 Want to get on the good side of a toddler’s mother? Offer her some wine on a lovely Saturday afternoon.